The information presented on this page was originally released on March 20, 2015. It may not be outdated, but please search our site for more current information. If you plan to quote or reference this information in a publication, please check with the Extension specialist or author before proceeding. STARKVILLE, Miss. -- It looks like spring has finally sprung in Mississippi, and that means increased boat traffic on the waterways. As many Mississippi residents know, this state is home to some of the best boating in the country. Taking precautions to prevent boating accidents should be a part of any boater’s best practices to ensure an enjoyable and safe experience. Just like obtaining a drivers license to operate a motor vehicle, boaters need to be educated and have experience to be prepared for any situation that arises on the water. Even if the boat you are operating is not motorized, it is important to understand that spending the day on a boat, canoe or kayak can be physically taxing. Boat operators must always plan ahead to stay mentally and physically alert. Each year, 347 unintentional drownings occur in boating-related accidents. According to the Centers for Disease Control and Prevention, most, if not all, of these fatalities could have been avoided if the boaters had followed some general boating safety rules and carried personal flotation devices. Some of the most important boating safety practices occur before even leaving the dock. No matter how much experience a person has behind the helm, safe boaters review safety rules before departure. First and foremost, a water-worthy boat must be in good operating condition. It should be equipped with working lights, good ventilation, spare batteries, a basic toolbox, an adequate horn, personal flotation devices, a functional fire extinguisher, a current boat license, flares and signals, and plenty of fuel and oil. Always check the weather forecast before boating, and carry a portable radio that can receive weather updates. Have a map or chart of the area where you intend to boat, and let someone not on the trip know what your float plan is. This information includes where you are going and how long you plan to be gone, in addition to a list of all passengers on board. Also, designate an assistant skipper who is familiar with boat operations and safety. He or she will be responsible for getting the boat back to shore if the primary navigator is injured. Creating a predeparture checklist will ensure that the boat and boaters are ready for adventure on the water. For some boaters, enjoying the water also means packing a cooler with alcoholic beverages to drink while relaxing on the boat. The combination of direct sun exposure, dehydration and socialization can cause people to become intoxicated before they realize it. Due to the high incidence of alcohol-related boating accidents, the Alcohol Boating Safety Act makes it unlawful to operate a watercraft on the public waters in Mississippi while under the influence of intoxicating liquor or any other substance that has impaired the person’s ability. In Mississippi, a watercraft is any motorized vessel with a motor of 25 horsepower or greater. You will face significant fines and possibly imprisonment if convicted of operating a boat while intoxicated. It’s never worth it to put yourself, your passengers and other boaters at risk by drinking and boating. Practicing good common sense while boating can actually help prevent most accidents. This means operating at safe speeds, steering clear of large vessels and being respectful of buoys or other navigational aids. However, in the event of an unavoidable accident, the proper use of personal flotation devices becomes critical. Make sure that your family and friends are fitted properly with lifejackets before departure and that they keep the jackets on at all times while in the boat. Most drowning victims are found without lifejackets. Mississippi mandates that any person born after June 30, 1980, must complete a boating safety course to operate a boat. An adult who is 21 or older must accompany anyone under 12 on a boat. The six-hour boater safety course teaches Mississippi boating basics, along with legal and safe practices for boat operators. A short exam at the end of the course is designed to ensure proficiency. Mississippi Department of Wildlife, Fisheries and Parks officers and volunteers throughout the state teach the course, and it is accepted nationwide for boating outside Mississippi. 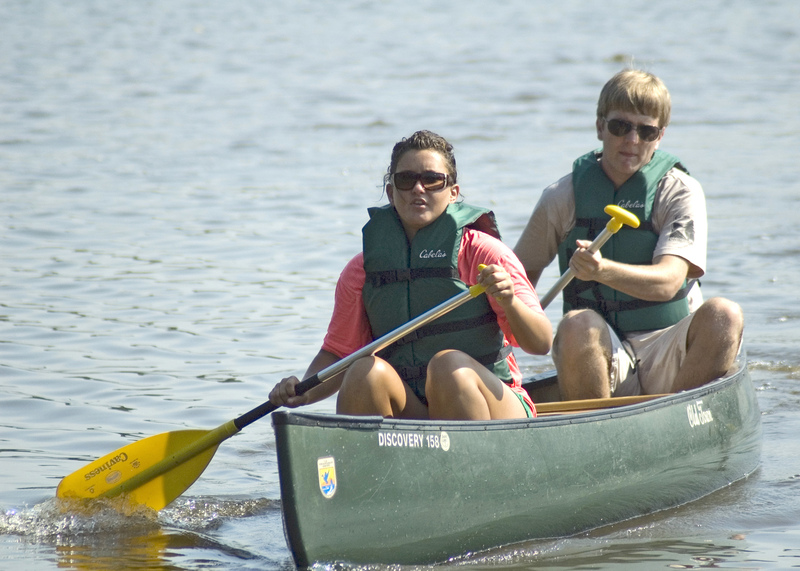 The Mississippi Department of Wildlife, Fisheries and Parks website, http://www.mdwfp.com/, offers a wealth of information on boater safety, including a list of class offerings by county. They also offer an online boater education course for those who are unable to attend a live course. Residents can call 601-432-2181 for more information.